Apprenticeships provide routes into a variety of careers and offer the opportunity to earn and learn at the same time. They also offer an excellent opportunity to gain work experience and achieve nationally recognised qualifications. As an Apprentice in a Health and Care setting, you will be doing a real job in a real workplace, and getting paid for it! You will have responsibilities to your employer and your colleagues, and you will be working as part of a team in a great organisation. You will develop skills very quickly whilst being supported by your team. Why should you apply for an Apprenticeship in the NHS? The NHS is the largest employer in Europe with over 1.2 million employees in the United Kingdom. There are opportunities to work in hundreds of organisations across the country in over 350 different job roles. Whatever skills you have, there is probably a job that will suit in the healthcare sector, and an Apprenticeship might be the perfect way to start your career. 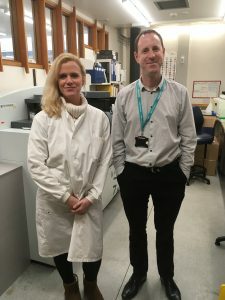 Many jobs in the NHS don’t require a University qualification and many provide on-the-job training, as well as opportunities for further learning. Not all the staff working in Healthcare are Doctors and Nurses; we have IT Specialists, Accountants, Engineers, Scientists and many more Professionals who come together to deliver the best experience and outcomes possible for our patients. There are lots of benefits to working in Health and Care, including progressive rates of pay, on-the-job training and a great pension scheme. Apprenticeships are available in a wide range of job roles within the Healthcare sector, with over 30 different Apprenticeship frameworks to choose from. 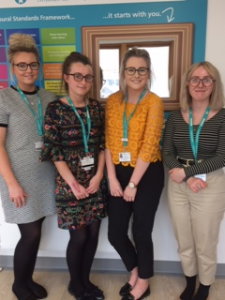 Currently, we have Apprentices working in a variety of roles in a number of different Healthcare organisations across North Lancashire and Cumbria. 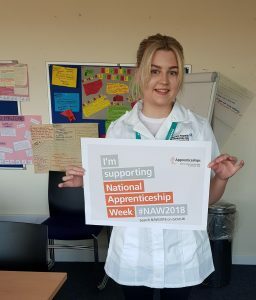 New Apprenticeships continue to be explored and developed; our vision over the next few years is to develop Apprenticeship opportunities as pathways into all job roles across the NHS! The whole qualification will take about either 12 or 24 months to complete, depending on your previous experience and qualifications. As an Apprentice you will be required to work a minimum of 30 hours per week. While you are earning in your workplace, you are also required to spend 20% of your time at a Training Centre or College, working towards recognised competence and knowledge qualifications and developing your skills in Maths and English if needed. We can not guarantee a job at the end of your Apprenticeship, but we will support you in finding work, by offering you CV and interview workshops. An Apprenticeship is also a recognised route to Higher Education with some Apprenticeships already attracting UCAS points.